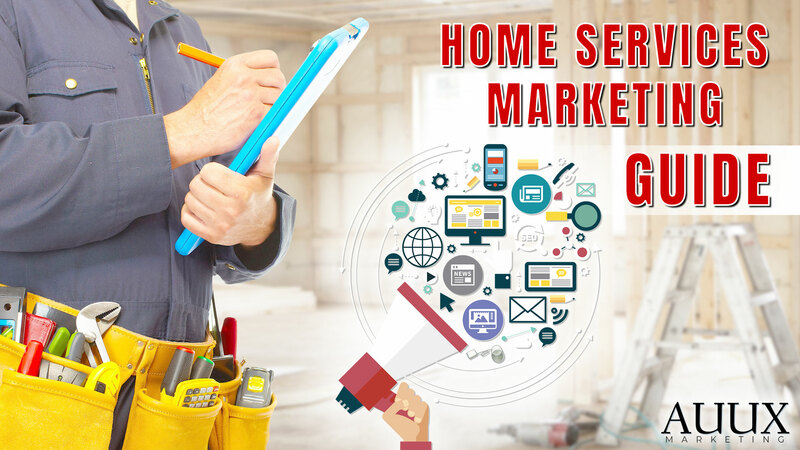 Home Services Marketing is critical to a company’s success these days. If your company is not taking advantage of the marketing and advertising available online you are leaving a ton of business to your competitors. Are you a Plumber, HVAC Tech, Landscaper, Window Replacement Company, Roofing Company, Painter, Junk Removal, Paver, or any other home service company you need to start marketing your brand and website online. Ok now that I have your attention, you are probably asking yourself how do I get started. Here is a simple blueprint you can use to start marketing your home service. 1. Get a Domain Name: Your business cannot operate without your phone number right? Well, your business cannot succeed online without a domain name and a website. You can get a domain from GoDaddy for cheap. You can do that now if you have a name in mind that you want to use. Getting a domain is easy all you have to do is sign up to an account at GoDaddy; you will also need an email address. If you do not have one you can create a free email address at Gmail which is run by Google and is the best email service in the world. Once you sign up to GoDaddy you can start searching for your domain name. I suggest getting a (.COM) domain name. GoDaddy will probably tempt you to get a .whatever etc… domain but try to stick with a dot com. Try many variations when searching for a domain. For example, if you have an HVAC company called Mike’s HVAC search for mikeshvac.com, of hvacmike.com, or hvacbymike.com. You get the idea. Try to keep the domain short and recognizable. You will be using that domain for online advertising, print advertising, maybe even radio or TV ads. Keeping your domain memorable will help in branding your home services business. 2. Website Design and Hosting: I put these two together because they go hand in hand. Once you have your domain now you are ready to build your website. Well a website needs to be hosted somewhere to operate. Building a website for your home services company can be a daunting task. You do have several options. You can build your website with an automated self building platform called a Website Builder or get a professional to build it for you. Using a website builder is a cheap and a cost effective way to get your company online. I would not recommend a website builder because it will be difficult to get your site ranked on search engines. I do not want to get into the reasons behind it but from my experience all my clients that had a site on a website builder and then came to my company to build a site for them and none of them had ever seen any significant business or leads from online. A professional website designer will do several things for you before even designing your site. You will need to get hosting for the domain and website. The designer can set that up for you and point your domain to the hosting company. The website designer will have many options available to them when building your website and you will not be limited. When choosing a website design company for your home services business make sure you ask them to build the site with SEO friendly pages, design around an effective user experience website, and make sure your website has call to actions to make sure you grab leads and get phone calls. 3. Avoid This Pitfall: Welcome to stage 3 of your marketing blueprint roadmap. You have successfully registered your domain and built a professional functional website. You are done now you can reap the benefits of having a website online. Not so fast, unfortunately if you build it they won’t come to your website. A little movie humor for the baseball fans. Now comes the fun part of having a presence online. You need to start marketing your website. Marketing your website, brand, and your services can take on many avenues. You have search engines, social media, apps, review directories, blogs, magazines, and the list goes on. Which way do you go? For the home services industry from my experience the best ROI’s have been the following avenues: Local Marketing, SEO, PPC, Social Media, and directory sites. I will explain each one in detail. 4. SET-UP Tools and Analytics: Once you have your website up and running you need to be able to track your marketing efforts and keep an eye on your sites overall performance and health. You will need to verify and register your site with Google Webmaster Tools and Google Analytics. Your web developer or designer should be able to set this up for you as you will need to put code on your website for analytics tracking. A sitemap has to be implemented on your site and submitted to Webmaster Tools. I do not want to get in to much into technical details but your developer will know how to put a sitemap on your site and submit the sitemap to Webmaster Tools. Webmaster Tools will help you see what keywords your home services website is ranking for. The Tools will help you get an understanding of what Google is indexing in their search engines from your website pages. Analytics is a very important part of any businesses success online. Analytics will provide detail data on who is visiting your site, what pages are they accessing and how they manage to get to your site. You can track Social Media traffic, Google PPC, Organic search traffic and much more. 5. Local Marketing: Now comes the first part of your marketing efforts for your home services company. You will need to submit your website to Google My Business and verify your location and phone number. Once you do that your business will be listed in the Google Local maps searches. This will drive a decent amount of business to your company if you rank well. How do you rank well? You will first need to make sure your profile on Google My Business for your home services company needs to be fully completed with Hours of Operation, Location Address, Phone Numbers, Pictures, Information about you and your services, and Citations to your business. Citations are what other local sites have info about your company. Make sure your yellow page listings, local listings, and other directories all have the same information about your business. The information that needs to be consistent is Name, Address, and Phone Number. 6. SEO: Search Engine Optimization consists of two parts On-Page and Off-Page SEO. On-Page is mainly technical involving several factors. Off-Page SEO takes several factors like Social Media mentions, backlinks to your site, and a few others. For the last several years, Content Generation and Content Marketing have become the most important SEO Ranking factor. If you want to succeed with SEO you need to create content your audience will like, and share. Your content will also need to be marketed to your Social Media followers. Content Marketing for home services must be done in order to succeed in SEO. 7. PPC: Pay Per Click Advertising is the fastest way to get instant results from search engines like Google. Google Ads have a large amount of real estate (space) on their search engine results pages. When you search for example “Roofing Company” you will in most cases see 4 paid ads at the top and up to 3 paid ads at the bottom of the pages. These ads get noticed and get your message across to ready and willing buyers and consumers of your home services. PPC involves a lot of research and campaign set-up. I would suggest looking into hiring a professional marketing company to make sure your campaigns are set up properly so your ad Quality Scores will go up and your ad spend will go down. The key is to have a decent ROI on your marketing. 8. Social Media: Facebook, Instagram, Youtube in our experience are great for marketing your home services company. Social Media marketing has become a solid source of leads for many home services companies like HVAC, Plumbing, Roofing, Paving, Home Improvement, Landscaping, Window Replacement and many others. For example if you are a Window Replacement company social media is a great source to get your company information and services to willing buyers. The right marketing agency will help build Sales Funnels so that you can get information to potential customers and grab their information on your lead generation pages. I would highly recommend any home services business to contact a professional and established Social Media marketing agency to help with their efforts. 9. Directory Sites: Directory sites are Home Advisor, Angie’s List, Houzz, Yelp, and many others. These websites will bring your company leads and referrals. You would need to be a paying advertiser on most of them to actually see a decent amount of business. My theory when it comes to online marketing is to be everywhere and I would really suggest you use these websites for your business. 10. In Conclusion: Home Services Marketing can be very crucial to your company’s success. We currently provide marketing services for Roofers, Plumbers, HVAC Techs, Pavers, Landscapers, Contractors, and all of our clients see an increase in business month after month. This guide to market your home services was put together based on my company’s experience and expertise. AUUX Marketing has been able to provide solid home services marketing too many contractors and professionals. We strive to make sure our clients are satisfied and we provide proven data driven results. Start your marketing today and start enjoying the rewards from your efforts. Copyright © 2018 AUUX, Inc. - All Rights Reserved.